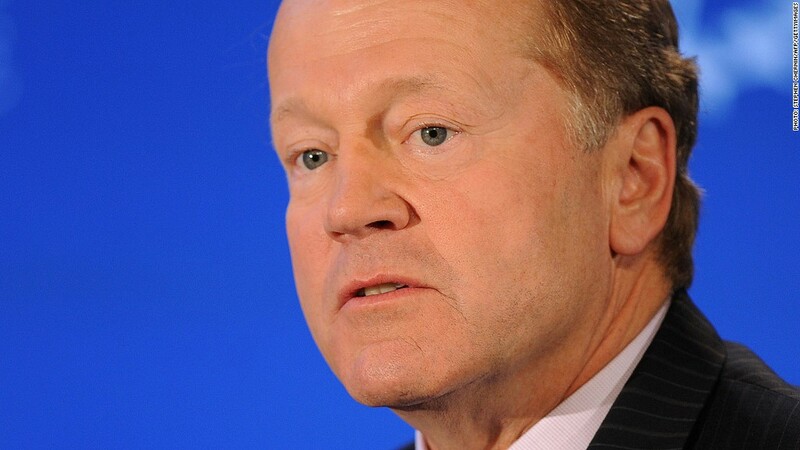 Cisco CEO John Chambers said the global economy is improving slowly. Cisco Systems may not be as well known to consumers as Apple or Google. But its results mirror worldwide economic trends -- and last quarter showed steady improvement. Overall, Cisco (CSCO) earned $2.7 billion on $12.2 billion in sales for its third fiscal quarter. Both revenue and profits were up about 5% from a year ago and beat Wall Street expectations. The company also reported that it now has $47.7 billion in cash, up $1 billion from the previous quarter. Cisco, like Google (GOOG), Apple (AAPL), Microsoft (MSFT) and many other big techs, have been amassing large cash hoards during the past few years. Cisco shares surged more than 9% in after-hours trade Wednesday. Chairman and CEO John Chambers said in a press release that he's happy with Cisco's performance in a "slow, but steady economic environment." "We are starting to see some good signs in the U.S. and other parts of the world which are encouraging," he added. Cisco touches all parts of the networking process, and its global reach makes it a closely watched indicator for the world's economy. Many large businesses and government agencies are buyers of Cisco equipment. The Internet networking world has evolved, and Cisco has shifted into services like online video and data to capitalize on the latest trends. Cisco's core businesses of switching and routing continue to make up nearly half the company's revenue, but those traditional sectors are in decline. Switching sales fell 2% over the year, while routing was flat. Meanwhile, data center revenue soared 77%, video gained 30%, and wireless increased 27%. On a conference call Wednesday, Chambers spoke at length about Cisco's careful attention to transitioning as market trends change. "Over my last 20-plus years at Cisco, I have seen these challenges every few years," Chambers said. "We have used this playbook again and again and again throughout our history ... I am extremely confident with the hand Cisco has to play, and yet we have never taken it for granted." Cisco also had some good news about Europe. Chambers had long warned that European markets will take a long time to bounce back from the recession, but revenue from Europe was flat in the quarter. European sales fell 6% a quarter ago. For the current quarter, Cisco expects earnings to come in between 50 and 52 cents per share, in line with expectations.